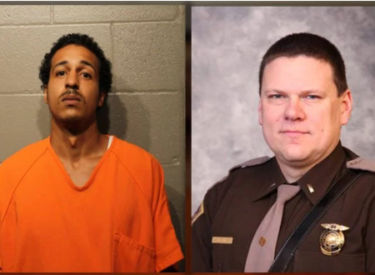 NORMAN, Okla. (AP) – The Oklahoma Department of Public Safety has requested a district judge empty the courtroom for testimony on the state Highway Patrol’s pursuit policy in a felony murder trial involving a state trooper’s death. The Tulsa World reports that the department’s motion argues disclosing the pursuit policy is dangerous because a future suspect could “reasonably deduce” tactical procedures. The case involves D’Angelo Burgess, who’s charged with murder in Lt. Heath Meyer’s July 2017 death. Highway Patrol officers were pursuing Burgess when two cruisers crashed and struck Meyer. A state open records law exemption says items of “tactical nature” can be kept secret. The motion seeks to file the policy under seal. It would only be accessible to personnel directly involved with the case. A court hearing is scheduled for Oct. 1.